Terra Olson worked for a high end salon and spa in Portland for years, but knew that there were other opportunities out there. One opportunity she noted was the lack of a high end salon south of Portland. She went to the Maine SBDC office in Saco and met with Business Advisor Steve Lovejoy. That was the beginning of Tulu Salon & Spa on Main Street in Biddeford. Olson worked with Lovejoy to develop the plans for the new salon. In partnership with her brother Paul Johnson, Olson worked to create an upscale salon and make the idea a reality. The space in the Pepperell Mill complex offered 12 foot tall windows that provided incredible light and they finished the space out using existing materials and re-purposed materials from the mill complex to create a unique and beautiful space. 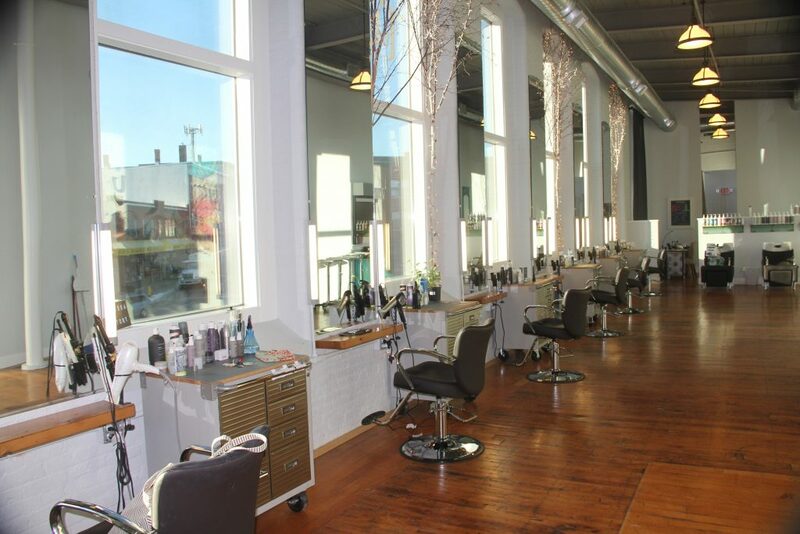 In less than a year the business has grown to 12 employees, many of them following Olson from high end salons in Portland. The salon was featured on the cover of the KEEP IT LOCAL community magazine for the Saco, Biddeford & Old Orchard Beach communities this fall and continues to grow. For more info on this growing business, visit their website or follow them on Facebook.